If you are tired of doing board meetings the old way, BoardBookit. Take a tour of BoardBookit and Get Personalized Pricing. Leverage tips to leverage our unlimited user model to streamline your organization in the boardroom and beyond…. Special pricing is available for qualifying 501(C)3 charitable organizations. Keep track of board directors, committees and important information such as term limits, contact info, special interests and more. Feel confident that your board information is secure with high levels of encryption, role based permissions, multiple levels of admins and two-factor authentication. Drag and drop functionality, inline pdf conversion and one-click document replacement means that dealing with clunky technology is a thing of the past. 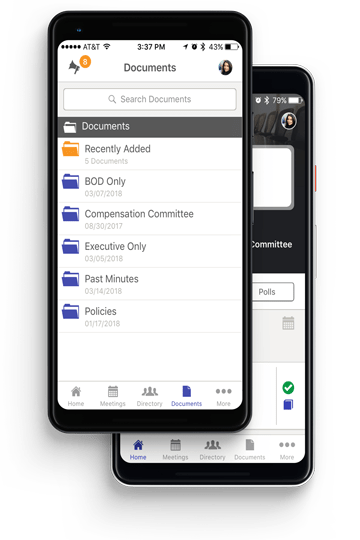 Get approvals in between meetings by sending resolutions through BoardBookit and allowing your directors to sign electronically.